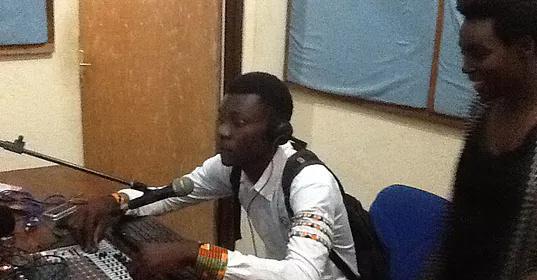 An Adventist radio program aired on the national radio station in Burundi has gone global through WhatsApp, especially among Kirundi language speakers. The program, hosted by the Adventist Church in Burundi through its Communication Department, airs every Saturday and has gained an international appeal from radio listeners around the world. The journey began about a year ago when due to consistent requests from listeners, the presenter decided to make the audio of past radio programs available for free download on WhatsApp. The initiative made it possible for audience members to tune in even if a radio program had already aired or if they missed the live broadcast. More and more listeners started downloading the radio show from their phones and mobile devices. From that time, miracles began to happen. Calls came from all over the world expressing appreciation for the host and the solid biblical content of the program. Stunned, the program host decided to create a WhatsApp group for the listeners of the program. To his surprise, however, one group could no longer hold the numbers of those requesting to join, since only 256 people can be in one group. So a second group was born, followed by a third and now even a fourth group has launched. People who are in Australia, the US, Europe, Asia and all over Africa are downloading the radio program and getting copies of the Bible Study Guide in Kirundi. They are also sharing the program’s audios with friends and family members who belong to other WhatsApp groups. Due to the program’s success, a member from the far south of Burundi can invite someone to a church service from the capital city of Bujumbura. Or someone from Dubai, United Arab Emirates, can fellowship together with someone in South Africa. Listeners who are not familiar with Adventist doctrine are able to learn it. Audience feedback has been very positive. The current radio program, called Ijwi Ry’Inzamba Y’Iherezo—The Voice of the Final Trumpet—was launched decades ago, even before the church owned an official radio station. Now, however, thanks to modern technologies, it is uniting people from all walks of life and leading many to accept the Adventist message.